F/O leaving a long tail on one of your pieces to stitch together during assembly. Now you’re going to make a series of 3 “plates” for your earpieces. Stitch the two ends of your White Ear Padding together to form a circle. Finally stitch the gray ends of your Head Band to the gray plates on your Ear Pieces and tadaaa, you’re done! 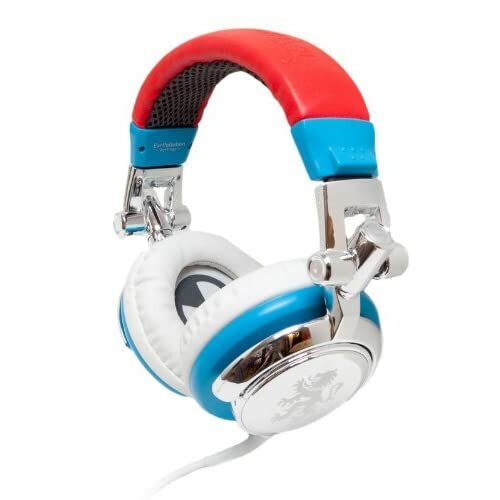 These would be awesome if you put actual head phones in them! Maybe an actual headphone style or just ear buds in them with the wire wrapped through, VERY AWESOME! These are SUPER COOL!! I’m going to adapt them for ear muffs!! Thanks so much for sharing your time and talent! I saw these on ravelry and I thought they were sooooo awesome! I’m pretty new to crocheting but they don’t seem too difficult for me to try. So I can’t wait to buy some yarn and start this project! *Just to make sure, when it says like “sc in next 2 sts, 2 sc in next st, around” we are repeating the entire sequence, right? ^_^’ just had to ask to make sure. Thanks again for the pattern! You rock! yeah, it just means that you repeat the same sequence until you make your way back around to the first stitch of that round. 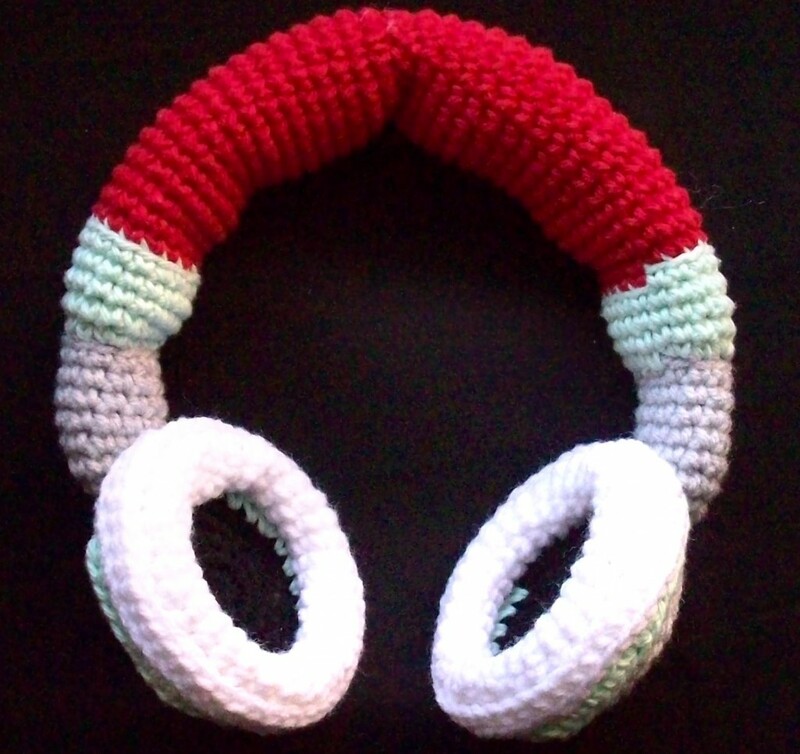 if you can, send pics of your headphones when they are finished. I’ve only ever seen one complete pair and I LOVE seeing other people’s products of my work.